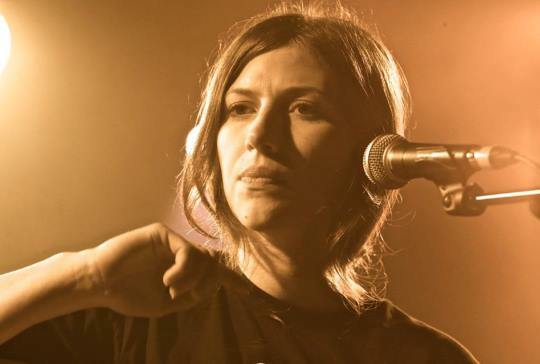 Aldous Harding’s music is not for the faint of heart. Disarming in its desolate imagery and stark instrumentation, it deals with the raw materials of life: death, birth, grief and love. There are few happy endings, but the power is in how Harding enters into battle; with a dancer’s grace and a boxer’s stance. Sometimes reminiscent of 60s-era folk singers Vashti Bunyan and Linda Perhacs, Harding’s work lies in more harsh terrain than her forebears – piercing the long history of the genre with a grit and sincerity rarely encountered. Somewhat out of step with the 21st Century, Aldous’ music is accompanied by wry wit and tenacious gall that will see her become a true stayer in the music world. Hailing from New Zealand’s Southern port town of Lyttelton, Aldous has received attention and accolades from some of the most illustrious corners of the music industry. Her self- titled debut album received 4 stars in MOJO and Uncut, while UK blog The 405 hailed her a “toweringly talented song writer”.